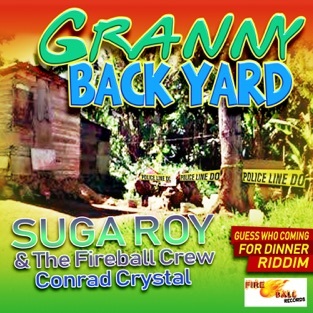 The Jamaican duo Suga Roy & Conrad Crystal was taken in 2011 for the first time at the Reggae Jam and was the monastery garden totally apart. The two singers present a perfect and compelling synthesis of dancehall and reggae. Nominally you could just assume that Suga Roy is responsible for melodic reggae passages, but it is exactly the opposite. Suga Roy is responsible for the vocals in the rule for the stimmgwaltige Dancehalltoasting and Conrad Crystal. With their previous two albums, “Suga Roy Conrad Crystal & The Great Reggae Icons” in 2009 and “Universal Tribute To Gregory Isaacs” from 2011, they have created two masterpieces that are essential in any reggae collection. Most recently there since 02.07.2013 with ‘meditation’ also a roots reggae album by Suga Roy & The Fireball crew. Even with this acquisition can be guaranteed not go wrong. The two will again be supported by the House of Riddim band as two years ago. In “Education Wise” it says again “place for Suga Roy”, because if he starts to move with ease and exceeds the barrier, it does not guarantee security to look after him. Suga Roy is now in the midst of massive and celebrates the hit off really. With the remake of Culture’s “Jah Jah See dem a come” the spirit of Joseph Hill blows strong through the monastery park. Very amazing how Conrad Crystal comes considerably close to the voice of Joseph Hill. Also, Gyptian, sings along with the album version and the official video, represents Joseph Hill in a excellent way.